Look at that fabulous paper bow! I came across this bow tutorial online, and I was immediately hooked. I could just imagine the possibilities! It does take a bit of practice, but it is super easy. I am going to try to either do my very first video or an detailed picture tutorial on it in the next few days. So check back for it. This layout is wonderful, I loved it the moment I saw it and knew which DSP to use. Do you recognize it? It is the Domestic Goddess DSP. 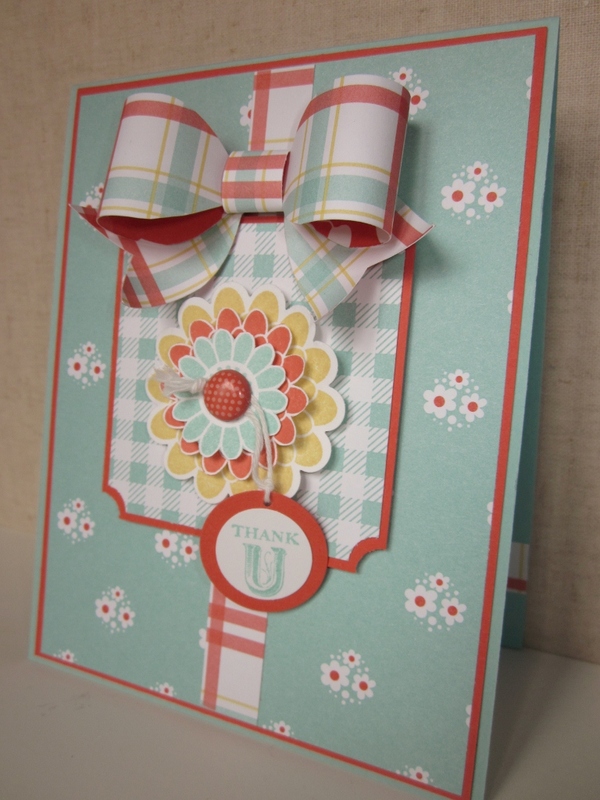 There are some really fun prints and a really great color scheme with this DSP. My main flower is the stamped flower image from Button Buddies. The scallop circle punch can punch this out, which is great. I fussy cut the other two layers, and for some reason today, my skills left me.. The edges are a bit ragged, sorry. 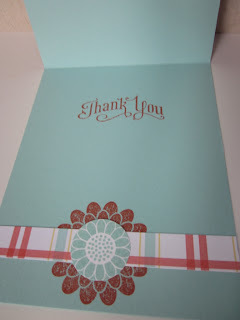 Each one was popped up with a stampin' dimensional, and a new In Color brad was used for the center. 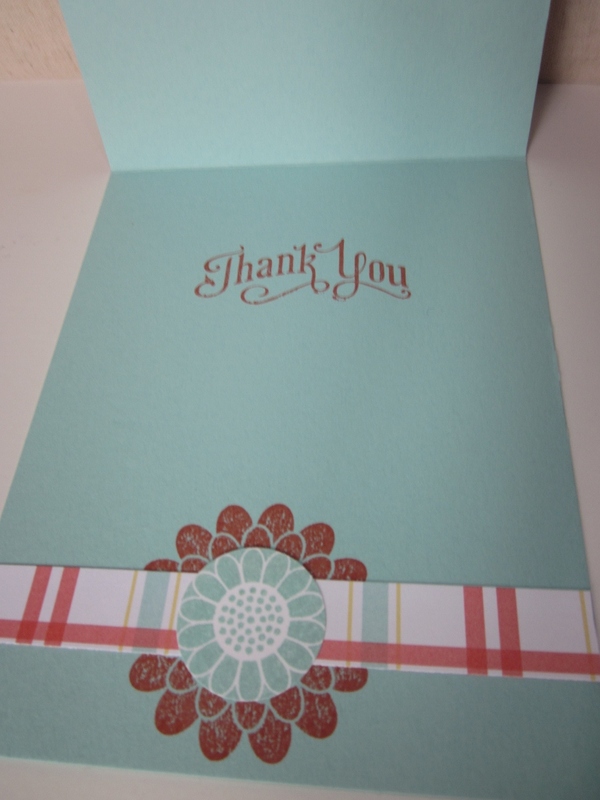 The sentiment was stamped in pool party using the Pennant Parade stamp set. It was punched with the 3/4 inch circle punch and layered on a 1 inch Calypso coral circle punch. Some baker's twine was threaded through and around the brad. I liked the movement of it just dangling, so I did not adhere it. Here is a nice up close picture of the bow, it is nice and three dimensional, the only thing is, it would probably get a little squished in an envelope, so I will need to figure something out, maybe a small envelope box, hmmm, I will get right on that! This is our little Sasha girl, she was all tuckered out from playing outside. She does not like the flash however, and closes her eyes just before the picture is taken. She has the cutest brown eyes, she is just too cute for her own good. Thanks for stopping by, I hope you were inspired, enjoy! Absolutely Gorgeous! Please don't forget the tutorial....it's a 'gotta have it'! that is so cool! I'm just getting this post. Been down a day due to Hurricane Irene! Cool Bow! This is a real beauty ... lovin' it! 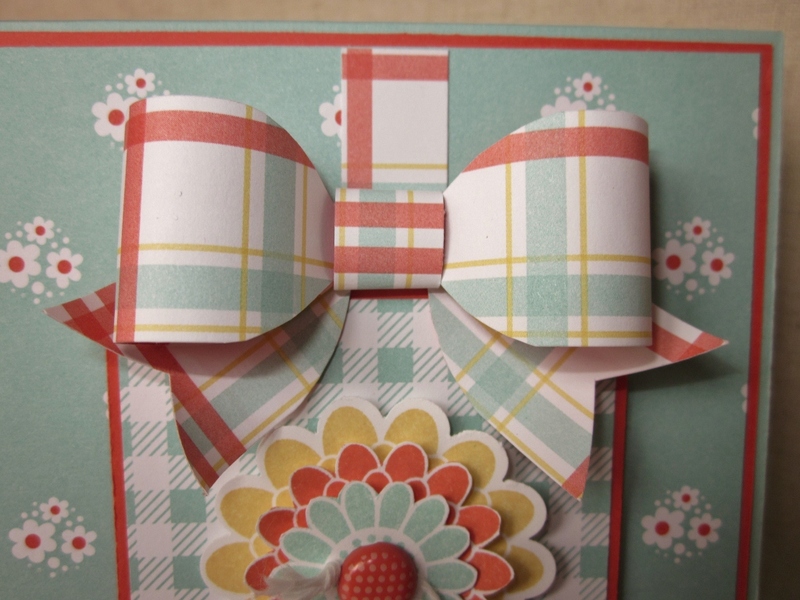 Looking forward to seeing your tutorial on making the bow ... too cool looking! 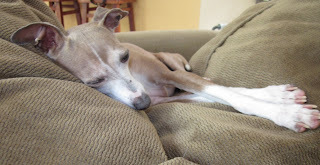 But, I have to admit, Sasha stole the post ... what a cutie! Love those pups! I LOVE this card!!!! I will have to remember this one and you will have to show it to me. Of course my favorite is the picture of Sasha. How precious!!! Give her kisses for me!!! Wow! Your bow is fantastic! I can't wait for the tutorial! I love the colour combo and that layered flower is perfect. Thanks for playing along with the Paper Players. OH MY GOSH! I ADORE that bow! This card is simply beautiful. Thanks so much for playing at The Paper Players this week! FABulous card Sandie! OMG, that bow is incredible and I love what you'vedone with these colors. The flower is beautiful and I love the inside--just as gorgeous as the outside! And a tutorial is a MUST! So glad you could join us this week at the Paper Players! What a sweet little pup you have!! Love the card his week Sandra! That paper bow IS divine...the colours are awesome too. Thanks for joining us at the Paper Players. AAH! Love this card! and LOVE that bow! !Thanks for playing with the Paper Players this week! How cute, Sandie! 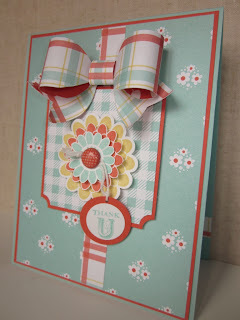 I love the mix of colors and that fabulous paper bow! And Sasha is such a sweetie! Thanks for playing with The Paper Players! 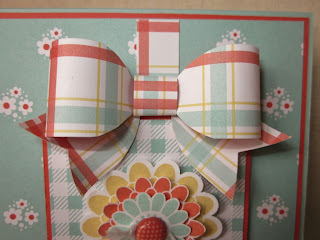 Such a pretty card...and I adore that bow! Wowza, this is fabulous! I want to see that tutorial too!